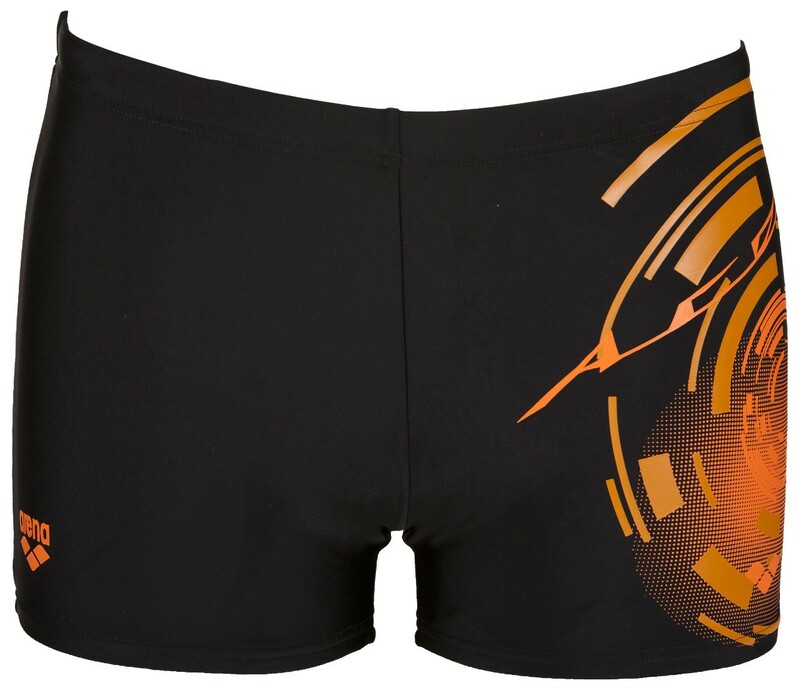 The black and mango orange Arena Goal swim shorts are perfect for both regular pool training or relaxing around the pool on holiday. 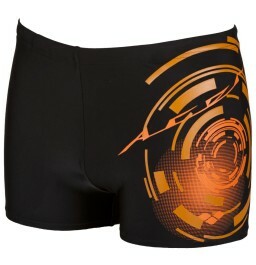 They have an eye catching target inspired design on the left thigh which looks both stylish and athletic. This swimwear has a 27cm side seam and integral drawcord waist for added security. As with all Arena swimwear it is engineered to give your swimming an edge and the hydrodynamic Goal swim shorts are no exception. 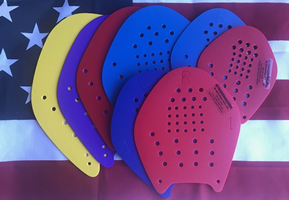 The Waterfeel X-Life material is perfect for the frequent swimmer. As well as being a super comfortable stretch fabric it also provides superior chlorine resistance and shape retention. Arena Waterfeel X-Life is also sunlight resistant making it perfect for a summer holiday on the beach or around the pool.